Stardust, campfires and all of us. 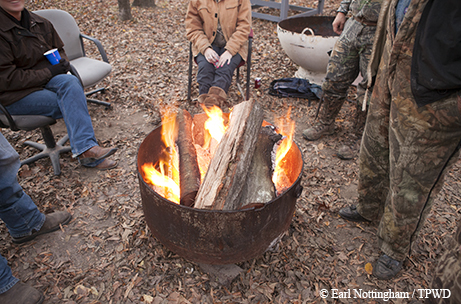 A camp without a campfire is like chili without pepper, marriage without love, space without stars. Fire is the heat, the light, the joy. 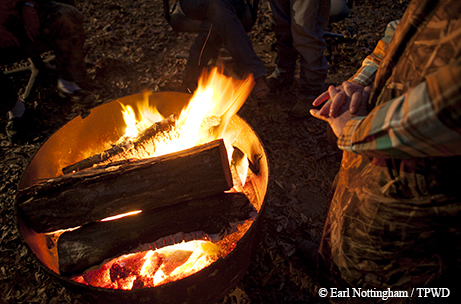 A camp without a fire is cold, dark, melancholy. Life without fire might well be, as Thomas Hobbes described it, "nasty, brutish and short." There’s no doubt that fire defines and draws us, but why? A surprising amount of effort has gone into attempting to answer that question, but perhaps the best explanation is from Daniel Fessler, an evolutionary anthropologist at the University of California at Los Angeles. He argues that an adult fascination with fire is a consequence of not having mastered it as a child. Fessler points out that in so-called primitive societies where fire is a part of daily life, children are interested in it until about age 7. After that time, having played with fire and learned to use it as a tool, they simply use it as they would any other tool. He infers that adults who are fascinated by fire never went through this process. Archaeological evidence exists for the use of fire by human ancestors as much as a million years ago. Fire played a key role in the development of the beings that became us. Fire provided warmth that allowed its users to survive in colder climates, making possible migration from Africa into Asia and Europe. Food cooked over fire was more easily digested and provided more calories and better nutrition, possibly playing a part in the development of larger brains. (Michelangelo, Mozart, the Manhattan Project and Microsoft followed.) Fire kept predators at bay, helping early humans survive in a world populated by cave bears and saber-toothed tigers. Food, warmth and protection were powerful reasons for humans to congregate around campfires, which likely facilitated the development of language (“Please pass the marrowbone”) and socialization (“You’re kind of cute, as Neanderthals go”). 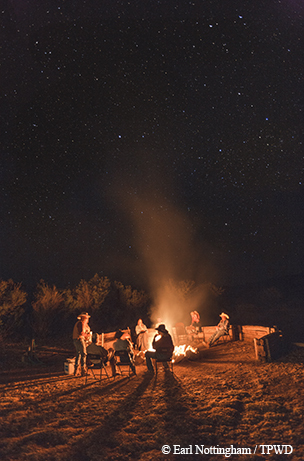 Fire also prolonged the waking hours of early humans, and sitting around the campfire at night looking up at the stars no doubt led those bigger, better-fed brains to begin speculating about what was Out There, and Who We Are and other Big Questions. Religion, creation myths and oral traditions were likely sparked by attempts to answer those questions. We’re still working on it, as the talk around any good campfire will prove. I’ve shared campfires from Texas to Alaska to South Africa, and the same cast of characters appears time and again. There’s the Artless Dodger (also known as the Smoke Jumper), who can’t stand to breathe smoke and seems cursed to be followed by it no matter which side of the fire he or she occupies. The Artless Dodger circles the fire seeking a smoke-free spot, thereby creating a cyclonic circulation that carries the smoke wherever he or she goes. Every group sharing a campfire seems to include a Needless Poker, who is determined to rearrange the logs to the point that combustion ceases while being under the impression that the fire would not burn without relentless prodding. A campfire’s worst enemy is the Forgetful Feeder, who seems to forget that fire needs heat, oxygen and fuel and fails to add logs as needed, exposing fellow campers to possible annihilation by cave bears and saber-toothed tigers. This person is the opposite of the Timely Tender, who adds fuel only at opportune times and without scattering burning coals among the bystanders. Providing entertainment around the campfire is the Broadbeamed Backer, who places his posterior regions near the fire for warmth, forgetting that moving will bring superheated clothing into contact with skin, resulting in an amusing dance. The effect is amplified should the clothing in question be damp and prone to emit clouds of steam, giving warning of the forthcoming eruption. A campfire captures the universe in a flame. The chemical elements that make up wood — principally carbon, oxygen, hydrogen and nitrogen with small amounts of calcium, potassium, sodium, magnesium and manganese — were spewed out from dying stars millennia before being captured by the Earth and, in a process powered by our own star, the sun, transformed into a tree. Subjected to sufficient heat in the presence of oxygen, the molecules in that wood break apart and then recombine to form water, carbon dioxide and other products while releasing heat and light. So here’s the thing. Like the elements in that wood, we began as stardust floating through space. Like that wood, we are made up of bits and pieces of other things brought together by the mysterious process called life. And when we die, those bits and pieces get recycled into other things. Some wind up in trees. Those trees fuel our campfires. So when we burn wood, we are burning dead stars, dead dinosaurs, dead cave bears, dead ancestors. We are burning our past — but at the same time we are also passing it on to the future. As I look into the flames of a campfire, I like to reflect on the fact that someday, long after I am gone, the atoms that make up my body will someday fuel the fire that warms someone yet unborn. This stardust that is me will glow in the eyes of generations to come, toast their marshmallows and ward off their night frights as it did for those beings long ago who took fire and used it to change their very selves. We are all of us, through all time, one, through fire.